According to Ayurveda, everything in the universe consists of five basic elements – akasha (space), earth (pritvi), fire (tejas), air (vayu) and water (apa). From the combination of all these elements (pancha mahabuti) we form our individuality (constitution) or Prakriti. Unlike the familiar to us modern medicine that heals the illness when it is already present and which focuses on one aspect (physical or mental health), when performing an Ayurvedic treatment personal relationships, social harmony, work satisfaction, spiritual growth are strongly related to physical, psychological and mental health. If we know our constitution, we can more easily understand and realize the health problems we have. We can take proper care of our own health by taking care of our nutrition, toxins, stress, the life we lead, and protecting ourselves from the diseases we are prone to. Why is the Ayurvedic treatment not losing popularity? Even with the appearance of affordable health clinics and hospitals, many people need alternative treatment methods, as even the most innovative modern medicine research cannot provide answers to all health issues. Unlike the familiar to us medical treatment, Ayurveda has proven to be able to solve the worst health problems. The advantage of Ayurveda treatment is that it applies a special healing approach, including a set of health, cleansing and rejuvenating procedures, collected on the basis of the thousand year old experience of Indian doctors and the ancient Vedic knowledge. The basic principle of Vedic practice is to work with the body as a whole system instead of focusing on specific organs or parts of the body. Therefore, even a brief prophylactic course of Vedic therapy gives visible results. The therrapies used by Vedic doctors are many but it seems that the most popular and most effective ones are Purvalkarma and Panchakarma. In fact, Purvakarma is the preliminary preparation that is required before proceeding to the second part of purification and detoxification, and namely Panchkarma. Application of oil may be internal and external, internal application (Snehana) being carried out as a warm herbal oil is swallowed, rinsed or placed in the nose or ears. Internal application of oil must be done strictly and solely according to the prescription of the Vedic physician, using mostly heated sesame oil for the procedure. Snehana is usually done in the morning on a hungry stomach. External application of oil is done by massaging the body with heated oil. The classic abhanga massage is done by two masseurs and lasts for 40 to 60 minutes. Massage starts with a massage of the head. In general, all panchakarma procedures should be started with application of oil on the head. The movements of masseurs during the massage are synchronous and smooth, and for one session the human body absorbs 100–250 mL of herbal oil. The oil used in abhyanga is prepared individually for each patient, taking into account their constitution (Prakriti). In this massage, it is very important to achieve synergy with the strength of the hand pressure, movement speed, oil temperature, passage through the meridians and the marma. The basic, abhyanga universal sesame oil is rich in additional ingredients: essential oils, vegetable oils, herbal oils. Warming-up is the second part of the preparation for Panchkarma and the main purpose of this procedure is for the human body to be warmed up. The heat should be enjoyable and not hot. In modern Ayurvedic salons and clinics, phyto barrels are more and more used because of their comfortable design and they meet all the necessary requirements of this procedure. It is very beneficial to use herbal healing vapor when warming up, which is obtained by decoction of special herbal remedies to which various essential oils are added. In Ayurveda, a healing treatment is also a massage with herbal bags (Patrapotley). Natural fabric bags are filled with herbs, prepared individually or as ready-made mixes. The herbal bags are dipped in warm herbal oil or oil, and then two specialists massage the patient’s entire body at the same time. Why a preliminary preparation of the Body – Purvakarma is needed? The preparation procedures are directed to application of oil deeply and heating of the human body so that the tissues become soft, moist and elastic. Without such a relaxation of the body, it is dangerous to move to the main therapy – Panchkarma. This is an emetic therapy in which the patient passes carefully through controlled vomiting. Vamana is the first of five main Panchakarma procedures. So far, the human body has already been sufficiently prepared during the purvakarma procedures. Vamana is performed at a specific time of the day (individually) and with a specially prepared decoction of herbs. The composition of the herbal mixture is prepared taking into account the individual constitution of the patient. One has to be relaxed, calm, the food a person has swallowed the night before must be fully absorbed. During vomiting, it is good to massage the area around the navel and abdomen clockwise and the waist – up on the back. The number of procedures and dosage of Vamana is determined by the specialist who conducts the Ayurveda treatment. After the procedure, a healthy inhalation/fumigation with medicinal herbal smoke is necessary. The first meal after Vamana can be in the evening or in the morning, with rice being the most suitable food after medicinal vomiting. There is a laxative procedure where the patient is taking laxative oral Ayurvedic drugs (laxatives). Taking oral laxatives at regular intervals helps purify the digestive system from toxins and promotes digestive and metabolic processes. The laxative procedure contributes to the recovery of Agni, the metabolic force, which is the main factor in Ayurveda. Good digestion and metabolism at all levels of the body prevent the accumulation of toxins, rejuvenate the body tissues and increase the resistance to diseases. Vasti is the third classic procedure of Panchakarma during which a medicinal enema is performed. This procedure is to be performed after Vamana and Vicherana. The medicinal enema purifies and rejuvenates the colon, nourishes the whole body and helps the body cope with the disease-causing processes. Nasya is the fourth classical Panchakarama procedure. All diseases of the head and diseases located above the clavicles are extremely well influenced by this therapy. Nasya is performed following all of the procedures described above. It is important to understand that nose-infused drugs directly affect the brain, so the responsibility for preparing and carrying out the procedure is very high. Nasya is done only by a specialist and never at home! Before the procedure begins, a massage on the face and head is performed (marma therapy), after which the nose and frontal sinuses are warmed with a towel and only then can the procedure be carried out. The amount of healing oil or oil is determined by a physician and may be from 20 to 50 mL at a given moment Individually, Nasya can be performed 5 to 15 times, and the procedure is followed by therapeutic inhalation. This is the last Panchakarma cleansing procedure designed to reduce the “bad” blood. In today’s Ayurveda treatment, this procedure is successfully replaced by hirudotherapy – a treatment with leeches. After passing through all the procedures for cleansing and detoxification, it is necessary to make a smooth transition to daily activities and life. Ayurveda therefore recommends that for a certain amount of time (depending on the depth of cleansing) you stick to a dietary nutrition, daily Dinacharya (daily routine body care), and taking of Rasayana medicine. The meaning of complying with a certain regimen after the end of the procedures is to stabilize the achieved result. The diet, as well as Dinacharya, are assigned individually, depending on the patient’s constitution. Rasayana medicines are Ayurvedic rejuvenating agents, also called remedies for the elimination of old age or the prolongation of youth. The most popular herbal remedies are Chiavangraprash, Amrit kalash, Brami, etc. 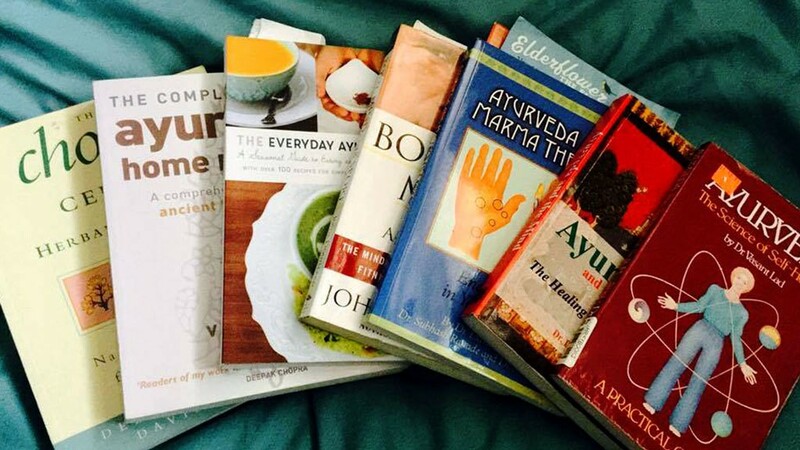 How are Purvakarma and Panchakarma beneficial to us? The human body has natural mechanisms for removing toxins, which is great, but sometimes it is not enough. It is not enough to hope only for the natural mechanisms because, due to the unhealthy lifestyle we are leading, the stress we are subjected to and many other factors that influence us negatively and our body cannot handle it alone. That is why we have to “awaken” this ability of our bodies to fight naturally with the toxins that have accumulated inside of us. Some toxins in the body dissolve in water, so Ayurveda recommends drinking a lot of water to take the harmful substances out of the body through the urine or sweat. However, another part of the toxins can only be removed with herbal oil, which requires panchakarma to use specific oils for different body parts. Panchakarma is a process of purifying and reducing the negative impact of stress and toxins. However, we should note that the course of such treatment will have a much greater effect if we pay more attention to ourselves and to our way of life. Unlike other therapies, Panchakarma is a painless process of deep cleansing without discomfort, allowing you to balance the doshas. In order to perform all five purification procedures properly we need guidance from a qualified Ayurvedic doctor. It is recommended that detoxification therapy is done at least four times a year in order to maintain and strengthen health in healthy people and to restore balance to people with diseases.